Ever wondered why spending your hard-earned salary on a luxury item is more difficult than spending your entire bonus on the same? Or why it’s easier to shop using a credit card? The answer to these questions lies in behavioural finance. It is a field of study that uses, emotional, social and cognitive factors to understand the decisions individuals and institutions make about money as borrowers, lenders and investors. 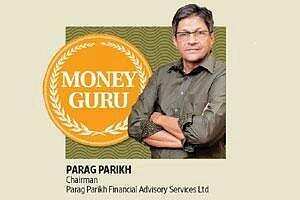 Parag Parikh, chairman, Parag Parikh Financial Advisory Services Ltd, who has authored a book on behavioural finance, Value Investing And Behavioural Finance helps us understand the basics. You have written two books, one of which is on behavioural finance, which is a fairly new concept in India. Could you tell us in short what behavioural finance is? Behavioural finance is not a new phenomenon, but it’s come in the limelight lately. Normally as human beings, we are supposed to make decisions from the mind, but we have a heart as well. When decisions are made from the heart, they are not necessarily in our financial interest. You are not able to understand the stock markets because markets are made up of emotional people. There are only two emotions—fear and greed—and people make decisions out of these. Behavioural finance is understanding the role emotions play while taking financial decisions. What is “anchoring" in behavioural finance? Anchoring is something like fixation to a number or an event. For instance, just now when the markets are going down, people get anchored for their decisions to the events of the 2008 crisis. Similarly, when markets go up, people get anchored to good times. They say I bought this stock, it went up 10 times, now this stock is double, so (if they are anchored to 10 times), they will only expect the stock to go up 10 times. To explain through another example: let’s say, you’ve bought a stock for ₹ 20 and it has turned out to be a mistake. If it’s gone down to ₹ 12, you’ve got to make a decision to either buy or sell. Now you may say that this stock had reached ₹ 20 in the past, so it will go up to ₹ 20 in the future. But that may not happen. People are anchored to numbers, events and at times even fund managers. What is mental accounting and how can people benefit from it? Let’s take earned and gift income. If you get your salary, you use it discreetly. But you tend to splurge a gift or bonus. In short, mental accounting is when you assign a different value to the same amount of money, depending on how the money has come to you. If you are not suffering from mental accounting, then you understand that ₹ 15,000 from salary or any other source is the same. In mental accounting, the size of the amount is also important. For instance, when people want to go to buy an electronic item, they put in lot of research and visit many shops to get a better deal. Now, the value of white goods can differ by ₹ 500-1,000 between shops. While buying groceries, even if you save ₹ 10 a day, you save a lot over a period of time as compared with saving ₹ 500 on a purchase of a white good worth, say, ₹ 25,000. It also depends on the size of the money coming in. If you get ₹ 2,000 as tax refund, you may splurge it, but if you get ₹ 50,000, you think of investing it. Credit card is the worst type of metal accounting. You go to a five-star hotel for dinner and it costs ₹ 3,000. If you pay by cash, you may think twice before going there again. But if you pay by credit card, your mind will see the expense differently. Credit card will give you a false sense of richness and you’ll swipe it. What are the top three mistakes that investors make? No. 1: going in for instant gratification or having a short-term view. The problem is all of us like the same things—we like leisure, we are greedy, we want more for less and we are achievement oriented. Everyone wants everything instantly, but it’s against the natural law. You cannot sow something today and reap tomorrow; a seed which is sown has to go through different seasons and it takes time for it to turn into a full-blown tree. When you tend to fall in for instant gratification, every day you look at the market in the hope of making fast money. No. 2: you look into more and more information and you consider it knowledge, but it is actually chaos. No. 3: trusting your emotions.